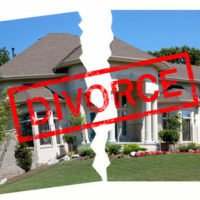 When couples getting divorced start to think about dividing property, the first thought that usually comes up is what to do with the family, or marital, home. The home is usually the largest asset the couple owns, and likely required sacrifice and hard work from both parties to purchase. In addition to the monetary investment, a lot of emotion is often attached to the family home, especially if there are children, which can hinder making a pragmatic decision on whether to keep it or sell. Either option offers competing advantages and disadvantages that should be factored into the final decision. In addition to the practical implications of selling or keeping the home, Florida divorce law has its own separate impact on the disposition of this asset for property division purposes. A discussion of the pros and cons of keeping versus selling the marital home, as well as how state divorce law views the family home in property division, will follow below. Selling the home and dividing the proceeds usually is the easier and quicker resolution to this issue. A sale allows both parties to put the marriage behind them, and may leave them with enough money to pay off shared debts. However, if the real estate market in a particular area is weak, the parties may find themselves still owing on the mortgage post-sale. If such a result occurs, the parties will need to negotiate how to pay-off the remainder, which adds another layer of potential conflict to an already emotional process. Keeping the home, on the other hand, may make more sense if a child’s stability is a concern, or the mortgage is underwater. In this scenario, one spouse typically takes over the mortgage obligation through refinancing or assuming the mortgage. In either case, the creditworthiness of the party keeping the home will have to meet lender requirements. Further, the other party will need to sign a quitclaim deed to extinguish any ownership rights, especially the right to a portion of the proceeds upon later sale. if either party will have to pay capital gains taxes when the home is sold. Basically, the judge must decide if one party has a greater interest in the property, justifying a larger share of the profits. This is an important decision that has potentially long-term financial consequences, and should be handled by an experienced divorce attorney. The consequence of keeping or selling the marital home is one of the most important aspects of divorce, and should be considered under the advice of an experienced divorce attorney to ensure your rights are fully protected. The Tampa law firm of Bubley & Bubley, P.A. strives to make divorce as easy and efficient as possible for their clients in hopes of relieving the stress of this difficult time. If you are considering divorce, do not leave the outcome to chance. Contact Bubley & Bubley today.